March 7, 2018 – tulen loobin su katusele kive! 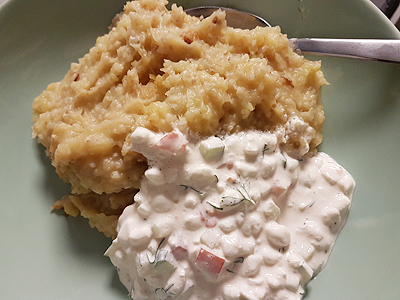 Mulk’s porridge (mashed potatoes with pearl barley) and some cottage cheese salad. 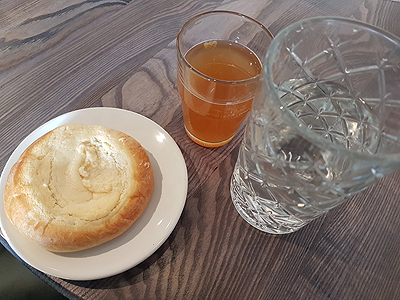 Some water, kombucha and a quark pastry. 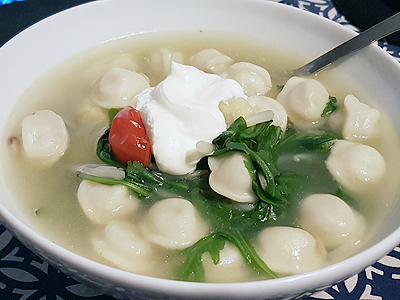 Pelmeni soup with sour cream.